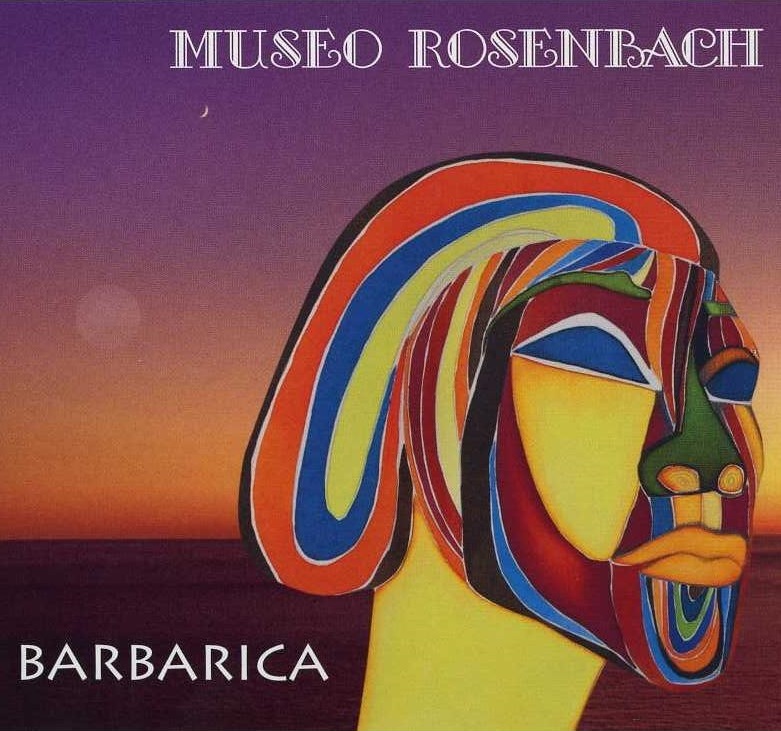 In the early 70s a group of young and talented Italian musicians came together to form Museo Rosenbach and record an Italian progressive classic, Zarathustra, in 1973. After the release of the album, they essentially disbanded. Then in 2006 Stefano “Lupo” Galifi was approached by another group of young and talented Italian musicians to form Il Tempio delle Clessidre to perform Zarathustra live. Due to the positive response, Museo Rosenbach re-formed in 2012 with core members Lupo (vocals), Giancarlo Golzi (drums), and Alberto Moreno (bass and piano). To round out their sound, they enlisted Max Borelli and Sandro Libra (guitars), Fabio Meggetto (keyboards), and Andy Senis (bass). As their first project they re-recorded Zarathustra live in the studio. During rehearsals, they began composing new material that became Barbarica. There are five songs with Lupo in fine form. Forty years later his voice and the band are just as vibrant as in 1973. The opening song, “Il Respiro del Planeta,” is a majestic example of Italian prog with strong guitar and themes. The second song, “La Coda del Diavolo,” is a quiet but sinister, ballad that opens with violin and halfway through switches to driving guitars, drums, and organ. The third song “Abbandonati” contains tom toms, drones, and a shouted chant reminding me somewhat of Osanna. “Fiore di Vendetta” is lyrical with Mellotron, organ, and guitars, and it rocks! The closing song “Il Re del Circo” opens with flute and guitars and becomes a magnificent close to an outstanding album. This new release will definitely appeal to lovers of 70s Italian prog, as well as new listeners.